In 2011, the Moma Group had acquired Opéra en Plein Air, unique artistic project founded in 2001 with the aim to renew the relationship between the modern audiences and the lyrical art, while inviting them to discover some of the most beautiful heritage sites in France. With the creation of its cultural pole, Moma marked the entrance in the showbiz world and diversified its agenda with pop-rock concerts, classic music festivals in the vineyards, movie-concerts and other types of spectacles. 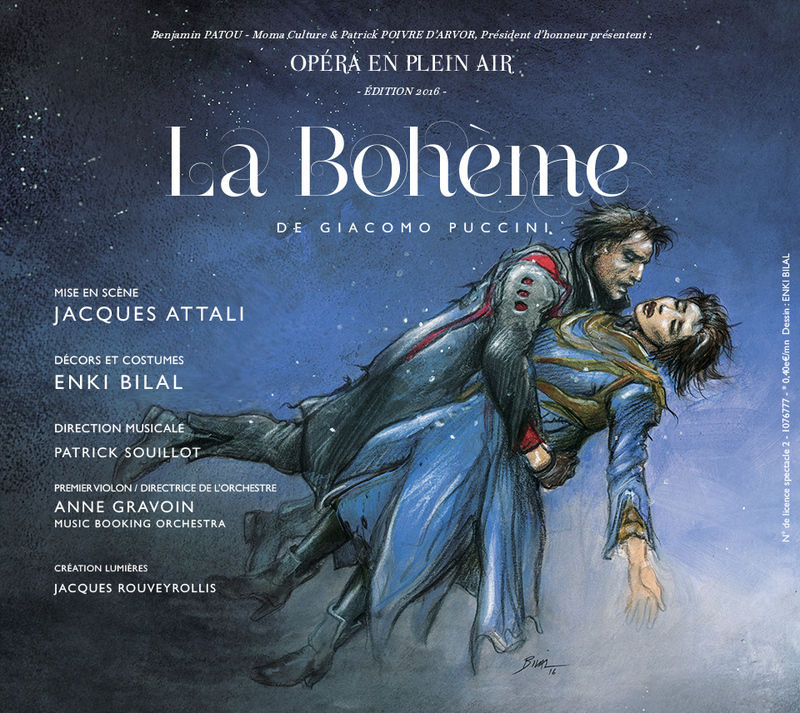 Opéra en Plein Air is a convergence point where artists and wide-spectre celebrities, all in love with opera, become directors for the duration of a season and of an opera. Patrick Poivre d’Arvor, Opéra en Plein Air sponsor, used his talent for Don Giovanni in 2014 – the surprising Arielle Dombasle imagined her own Traviata in 2015 – for the 2016 it will be Jacques Attali’s turn to bring into being La Bohème. Mass events, true artistic encounters in the open air, they all substantiate Moma’s commitment to the artistic scene.